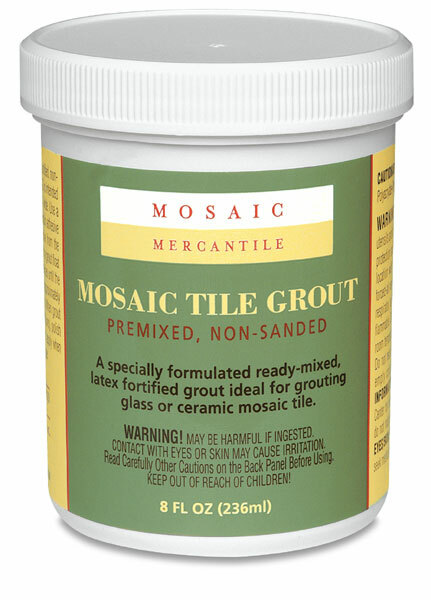 Mosaic Mercantile's Pre-mixed Tile Grout is intended for light-duty indoor applications where the space between tiles is 1/8" (3 mm) or less. This water-based, non-sanded latex grout is already mixed to save time and measuring. The White can be tinted with most acrylic paints.